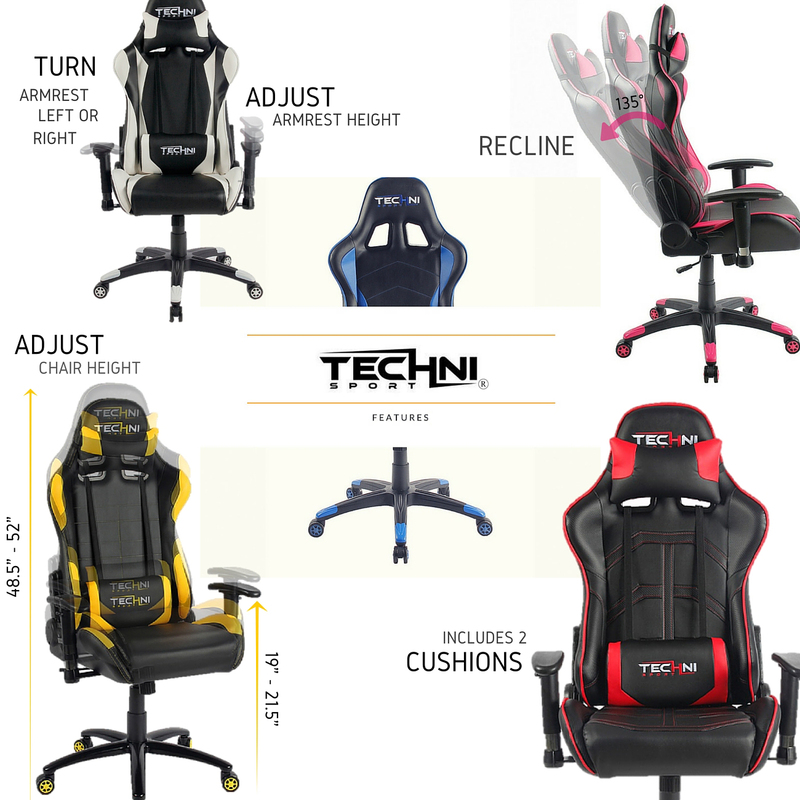 This Techni Sport Ergonomic Chair with it's racer car inspired look by Techni Mobili, will put the pedal to the metal on productivity in any office or game room. Unlike regular office chairs, it gives an eye catching racer style appearence and modern look to spruce up any environment. 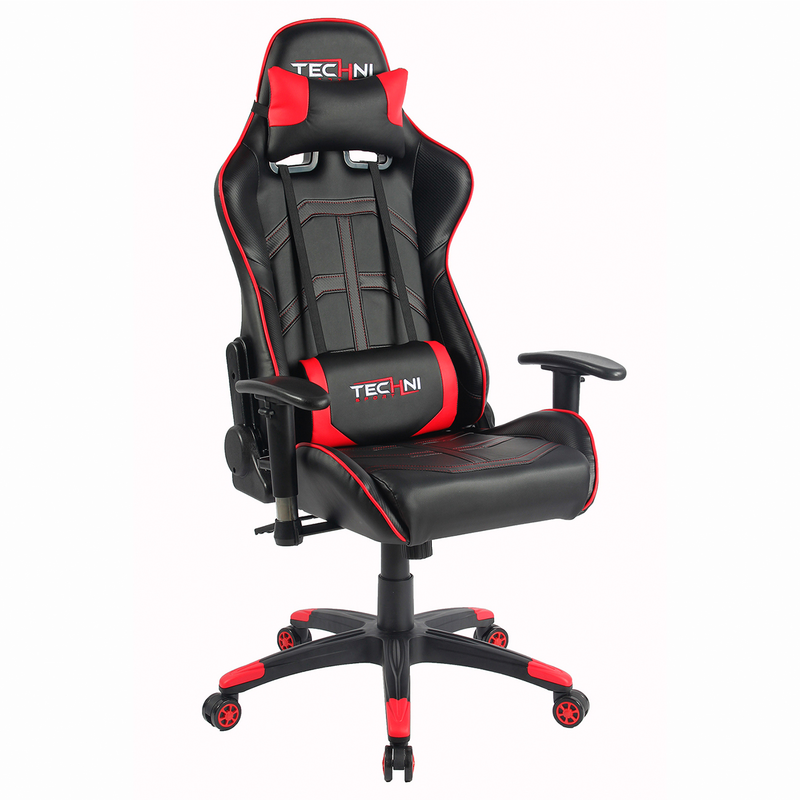 With the cool resemblance of a sport's car interior, let your imagination "race" while maintaining superb comfort for gaming or work sessions lasting 8 hours or more. It includes a removable head rest pillow and lumbar cushion for even more comfort. In addition to it's smart look, It's reclining back, height adjustable seat and armrest will adjust to fit your needs. 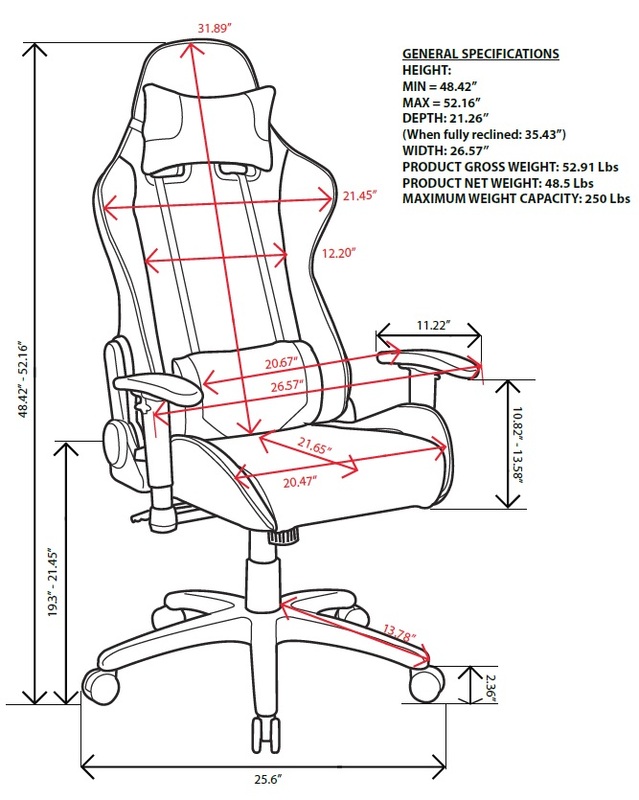 Seat from 19.3" to 21.45" high. Weight Capacity: 250Lbs. Multiple Colors available. Nylon Base can be substituted for an all Black metal base sold separately.